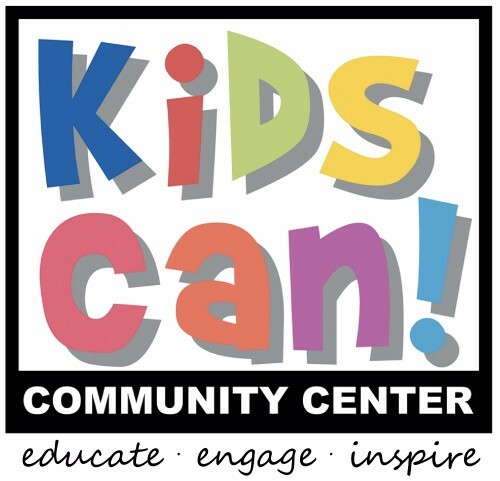 At Kids Can Community Center, our mission is to educate, engage, and inspire children through early childhood care and out-of-school experiences. 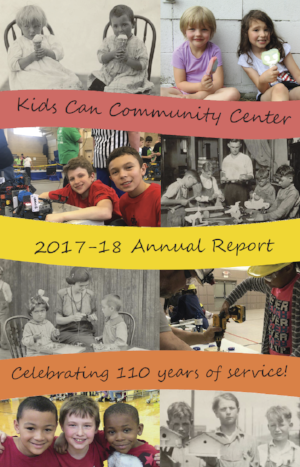 Originally founded in 1908 as the Social Settlement Association of Omaha, in 2009 we changed our name to Kids Can Community Center to better reflect our vision for children and families in our community. Today we are a state-licensed childcare provider for children ages 18-months to 13-years old, offering full-day early childhood education and out-of-school programs. We are happy to share our 2017-18 Annual Report by clicking the link or the image to the right. If you would like a hard copy of the report, please contact Cindy Oelke. We participate in Nebraska's Step Up To Quality to ensure we provide high-impact programming for our youngest children. We partner with Collective For Youth to provide additional after-school programming at Wakonda, Gilder, Miller Park, and Nelson Mandela Elementary Schools. Our mentoring program is accredited through Midlands Mentoring Partnership. Please contact us at 402-731-6988 to stop by for a visit to learn more about Kids Can or to share your time with us as a mentor or volunteer. If you are interested in learning more about our programming and models, please download our Theory of Change, Early Childhood Logic Model, and Out-Of-School Logic Model. Kids Can Community Center is a proud member of Nonprofit Association of the Midlands one of the first organizations to adopt the Guidelines & Principles as a Best Practices Partner. We are committed to uphold the best practices for non-profit organizations in our community and vow to hold ourselves to the highest standard of conduct. 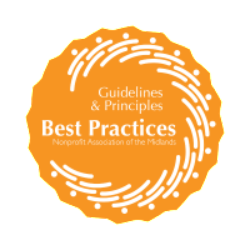 Click the Best Practices symbol for more information on the Guidelines & Principles and the Best Practices Partnership. 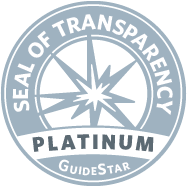 Kids Can Community Center is proud to achieve GuideStar Platinum status, the highest level of recognition offered by the program. GuideStar Platinum encourages nonprofit organizations to share their progress and results in important new ways to reflect the changes they are making in their community. Be sure to check out the Kids Can GuideStar page to learn more about us.